Four new videos for New Years' Eve! Happy New Years everyone! To prepare the celebrations, I did a bunch of work :D With this batch I close up the first waves of LEGO City and LEGO Movie sets at last, plus I throw in a pretty obvious remix of a set that was just begging for it from the start! LEGO City Helicopter Transport set 60049 review! 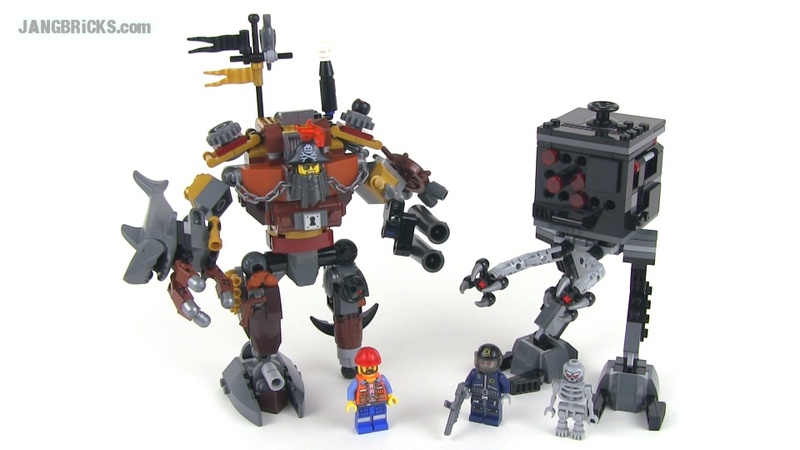 LEGO Movie set review: Creative Ambush 70812! LEGO Movie set review: The Flying Flusher 2-in-1, set 70811! 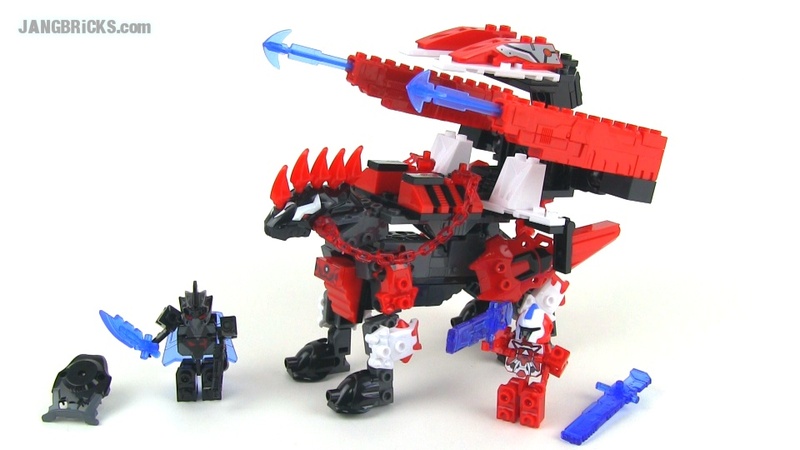 LEGO Rescue Reinforcements alternate build MOC -- JANGBRiCKS Remix! Just when you thought it was safe to blink! Today's stack of uploads crosses a wide range of topics, culminating with the highly anticipated Rescue Reinforcements review. New release season continues, so there will be more videos right around the corner! 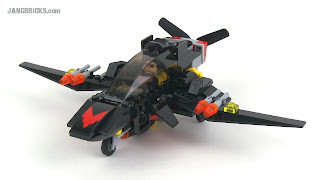 LEGO 76011 Batcopter alternate build MOC -- JANGBRiCKS Remix! LEGO Movie (Series 12) collectible minifigs - SIX bags opened, Dec. 30, 2013! LEGO Movie set review: Rescue Reinforcements 70813! 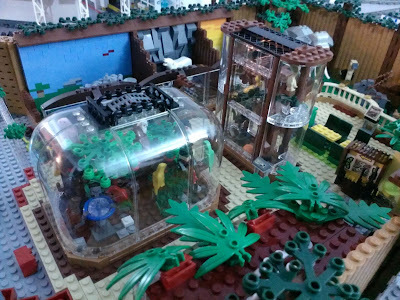 With so many review videos going up you might think I'd forgotten all about my zoo, but you'd be wrong :D The aquarium section is what I've been most looking forward to from the beginning, and finally it's getting some attention. There's still a lot more to be done on it than meets the eye, but progress is progress. 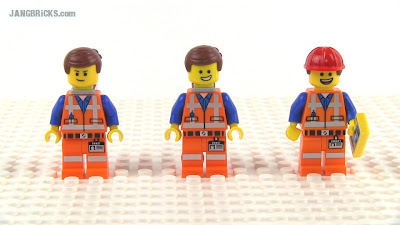 LEGO Movie (Series 12) collectible minifigs - FIVE bags opened, Dec. 29, 2013! 11 comments - Post a response! LEGO Movie MOC: Metalbeard's Ship! 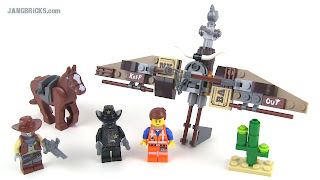 LEGO Movie set review: Castle Cavalry! Just a few more of these to go to complete my sweep of the first wave of the theme! 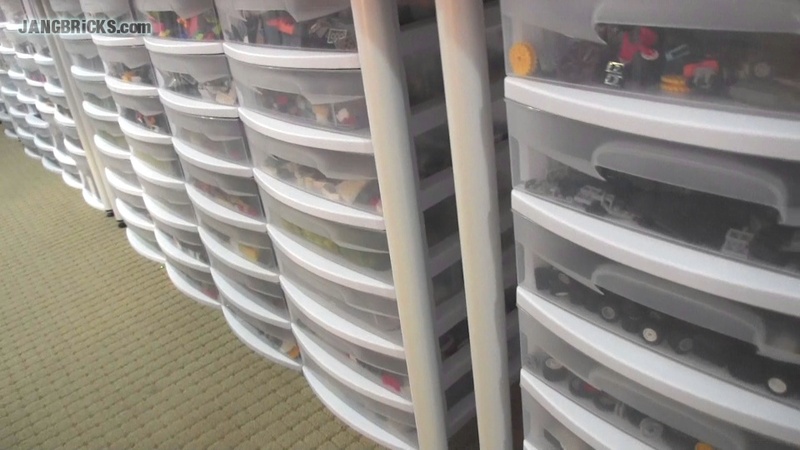 Between the evenings of the 26th & 27th I published twelve LEGO Movie set- and figure-related videos. For the full day of the 27th, YouTube reports that my account received 3x the norm (and 2x the previous records) in comments, likes, and favorites added. Y'all really like the Movie sets!! I guess it's a good thing that I do too! This theme does a phenomenal job of combining some of the most fun things that can be captured within the world of LEGO. It has humor, drama, action & fighting, cutesiness (not a real word, I know), interesting vehicles & settings, and characters we can connect with. Most importantly in my opinion, the theme encourages creativity in the most blunt ways possible. Most LEGO sets reward you for building exactly what's shown on the box and the instructions, and then they leave you with a whisper-like hint of, "Maybe you could do other things with these parts... maybe... just saying..." In the movie theme, you are told right to your face, "Take apart the LEGO sets you have, and make something cooler! Do it do it!" I hope LEGO learns from this massive win and engages in more of this overt creative encouragement in the future. Hero Factory moved in this direction with their 2.0 series, but they didn't go far enough, and actually took creative tools away from us in 3.0 & beyond by reverting to one-piece heads that instantly turned any custom creation into just another version of Rocka or Stormer or Furno. 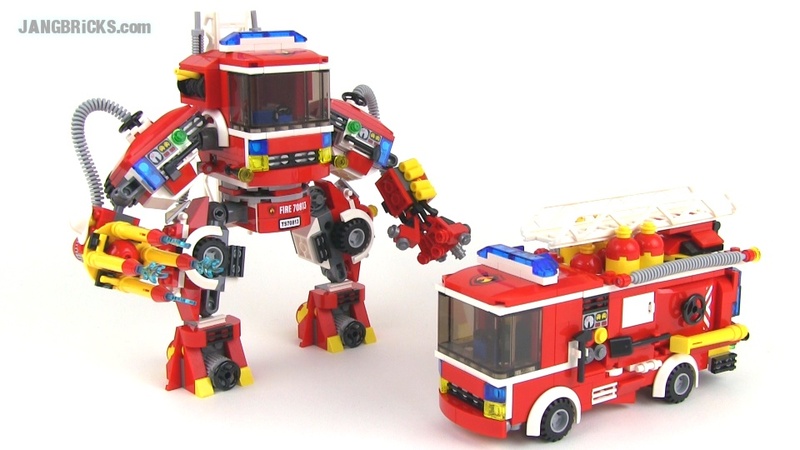 Technic and Creator both encourage part reuse by offering multiple official builds. However, the City and other System-based, minifig-supporting themes that have always been the core of the LEGO business and fan community alike, tell young builders to follow the instructions and then stop and play. I hope that in early 2015 (since everything through the end of 2014 is already designed) we will begin to see a page of photos of alternate build possibilities included in the instruction sheets for some City sets like we used to a couple decades ago. Eventually, the 2- or 3-in-1 concept could be worked into a percentage of sets in every single System sub-theme. 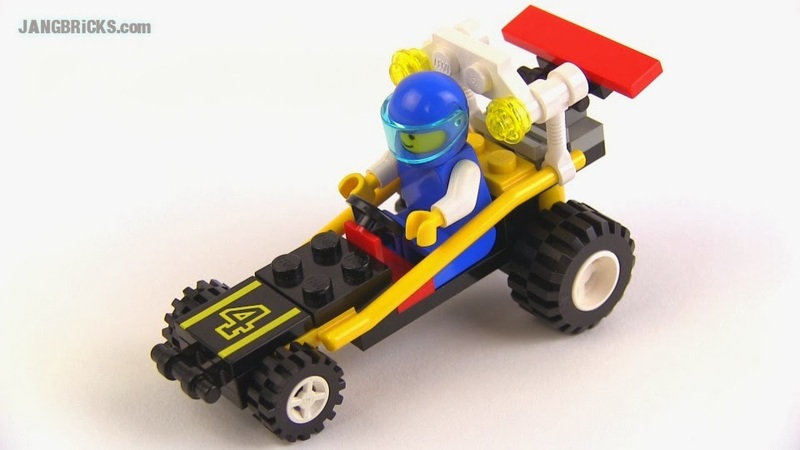 It would go a long way towards fulfilling LEGO's mission of actively inspiring creativity in kids, and as the Movie theme is already showing before its official release, it can be a profitable undertaking for the company as well. 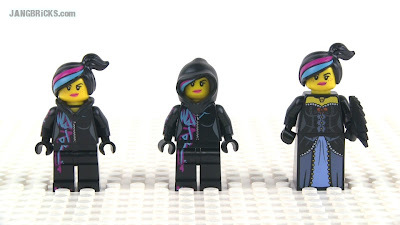 That's right, it's a single LEGO movie, and the figures were made for the movie, but already we have three different variations of each. These brief side by side videos show all of the commonalities and differences. 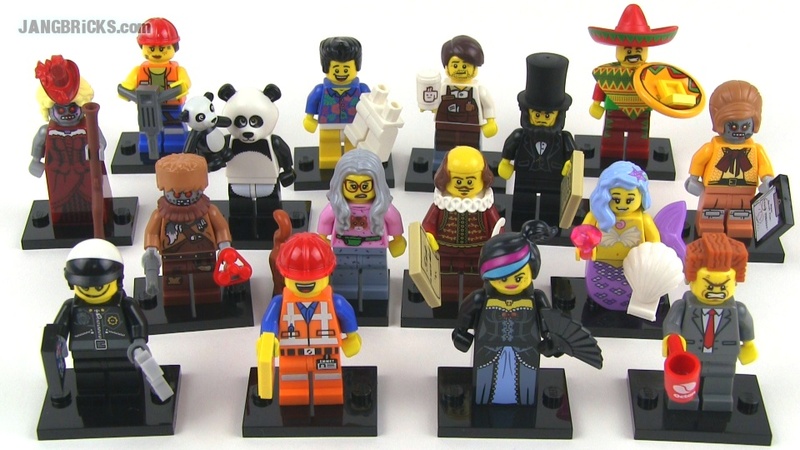 LEGO Movie Collectible Minifigs -- ALL 16 of 'em! LEGO Movie Collectible Minifigs - ALL 16! 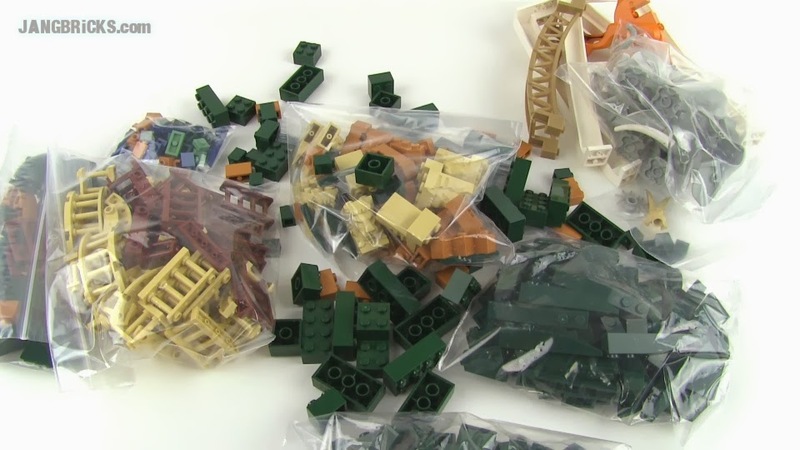 LEGO Movie minifig mystery bags - FOUR bags opened, Dec. 27 2013! Three more LEGO Movie set reviews! I'm keeping them rolling out! Just a handful more remain! 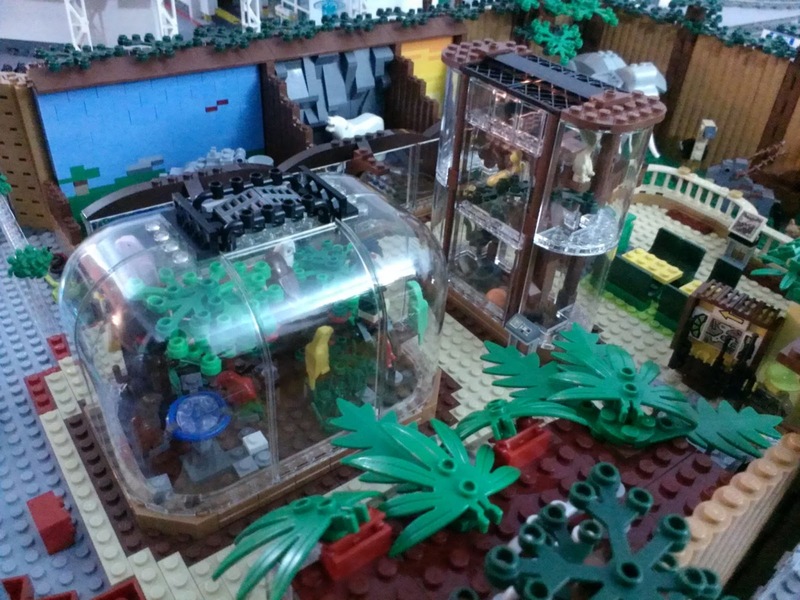 LEGO Movie set review: Cloud Cuckoo Palace! 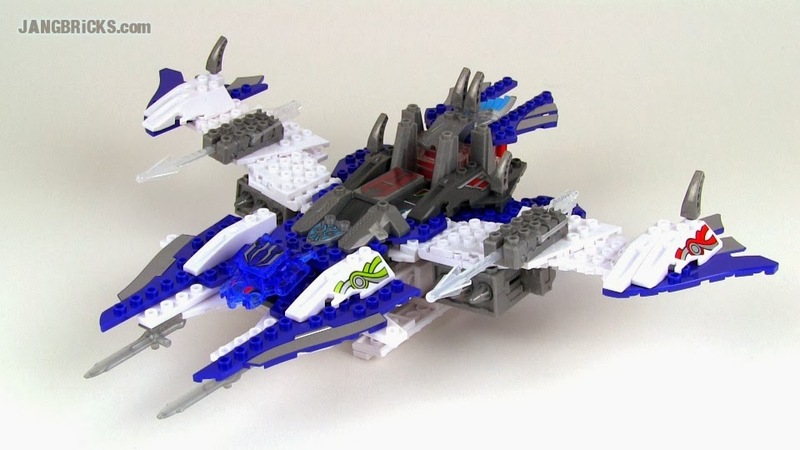 LEGO Movie set review: Getaway Glider! Classic 1994 LEGO Trail Ranger 6514 reviewed! 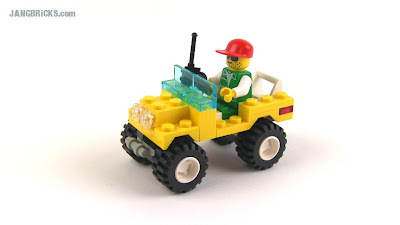 Video: Classic 1994 LEGO Trail Ranger 6514 reviewed! Five more LEGO Movie set reviews! My wife & I have been busy with LEGO this evening! Five set reviews published and more to come soon as further videos are in the editing room. Enjoy! 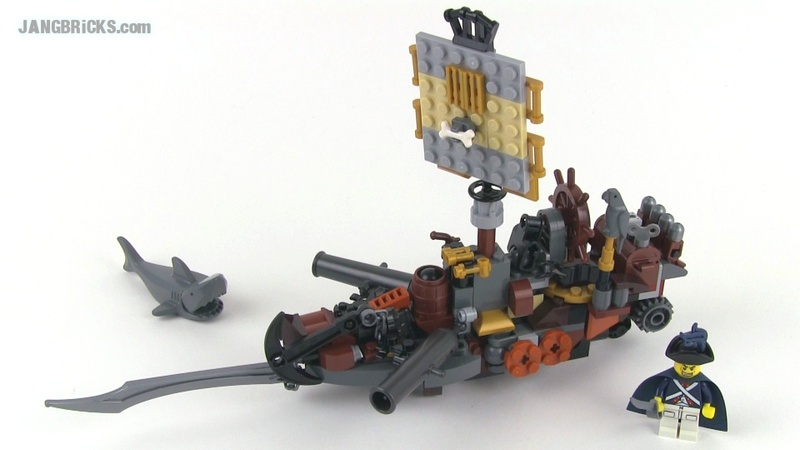 LEGO Movie set review - Metalbeard's Duel! LEGO Movie set review - Super Cycle Chase! 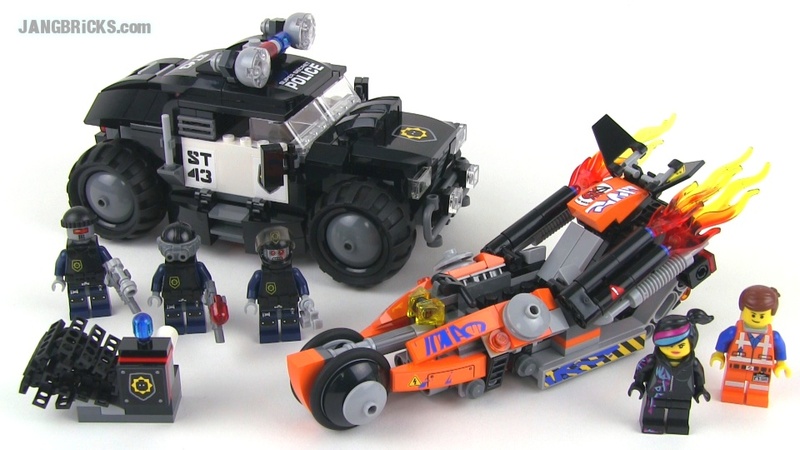 LEGO Movie set review: Bad Cop's Pursuit! 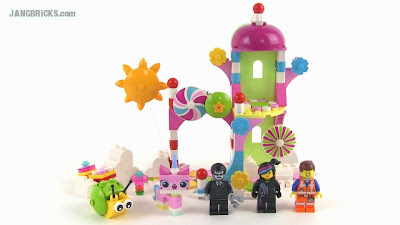 LEGO Movie set review: Melting Room! LEGO Movie set review: Trash Chomper 2-in-1!! Mega Bloks Halo 97262 UNSC Infinity Armor Bay in-hand review! 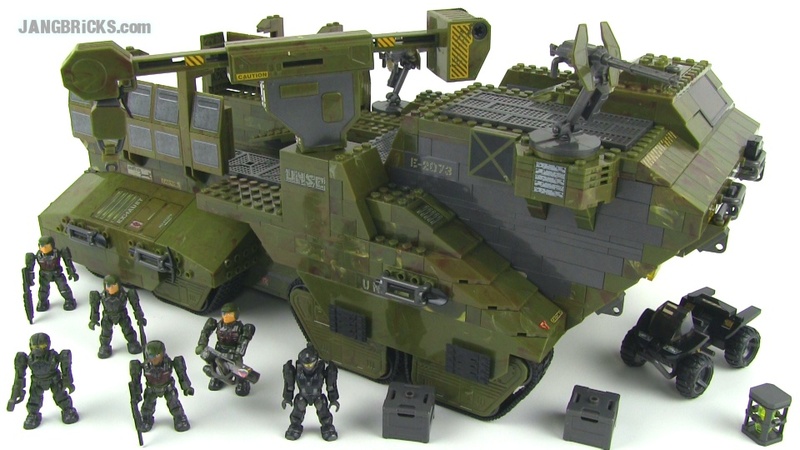 Here's another 2014 Halo set review, the largest one released so far. I'll try to find the new armory and Cyclops sets soon, but right now I'm technically on holiday ;) I also threw in a little bonus video! 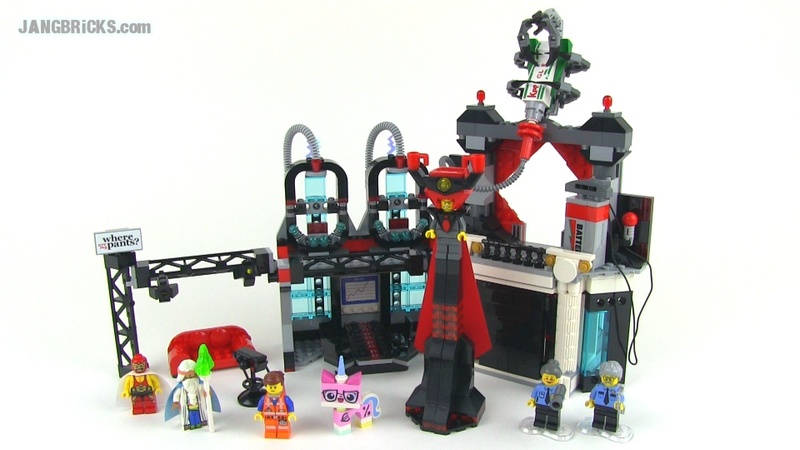 LEGO Movie set review - Lord Business' Evil Lair! It begins! The LEGO Movie sets have begun to hit stores early and I will be reviewing every last one of 'em! Video: LEGO Movie set review - Lord Business' Evil Lair! 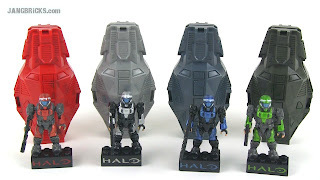 Mega Bloks Halo Series 8 Minifigs reviewed -- ALL of them! Surprise! I did things backwards :) Instead of teasing out mystery pack opening videos until I got all of the figures in a series, I went straight to the end result to give you all a look at the full wave! 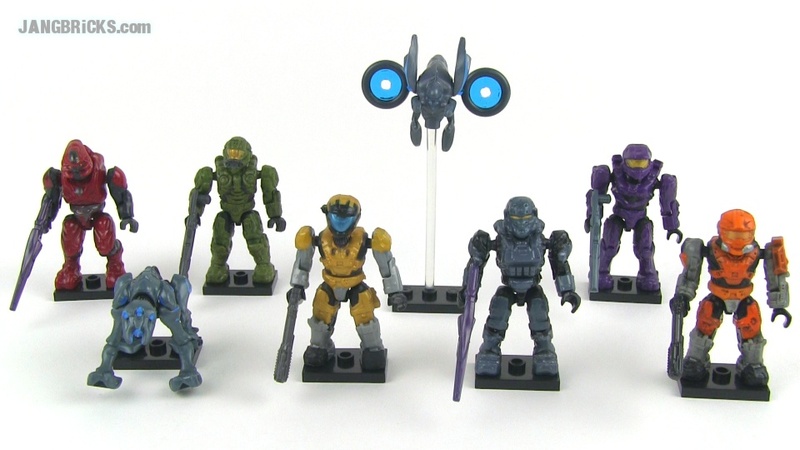 Mega Bloks Halo 2014 set reviews kick off! Here's my first review of a 2014 MB Halo set. It's a small one and nothing outstanding, but the subject matter is well-known and well-loved and they've made some meaningful improvements over the previous versions. Mega Bloks Halo Rapid Assault Covenant Ghost set 97213 review! 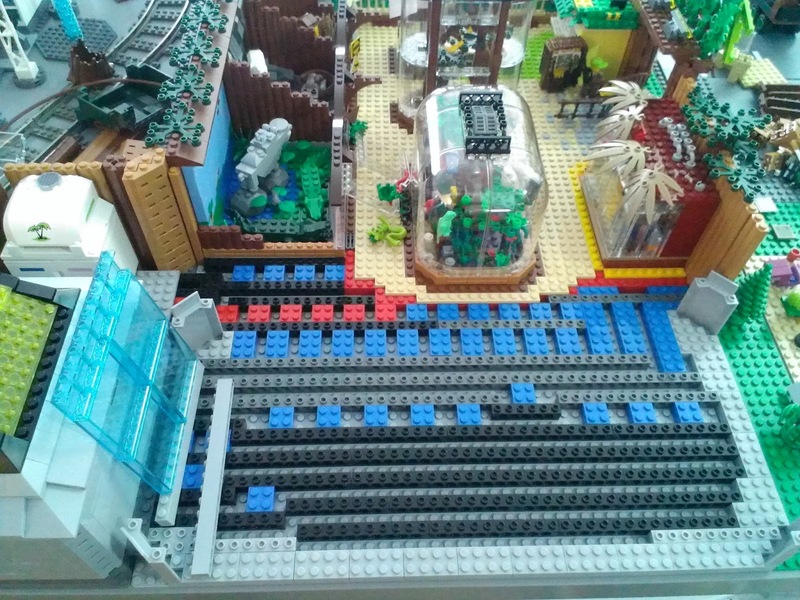 Next up is a single video covering actually 4 different sets (97417, 97418 97419, 97420)! 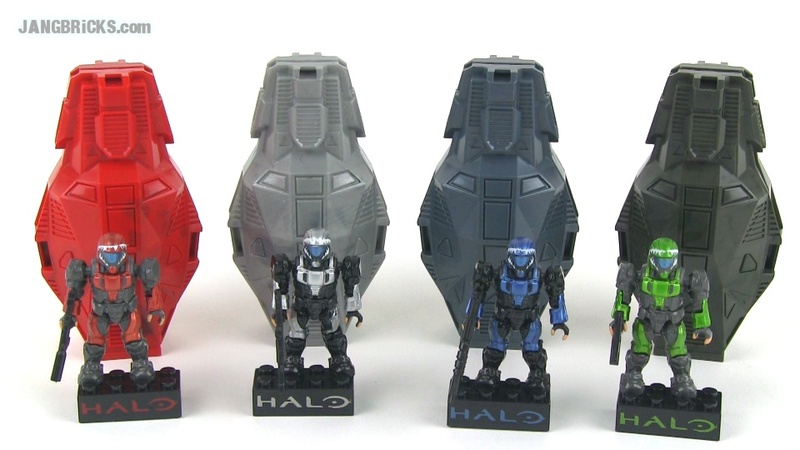 A must see for ODST fans and minifig collectors in general. 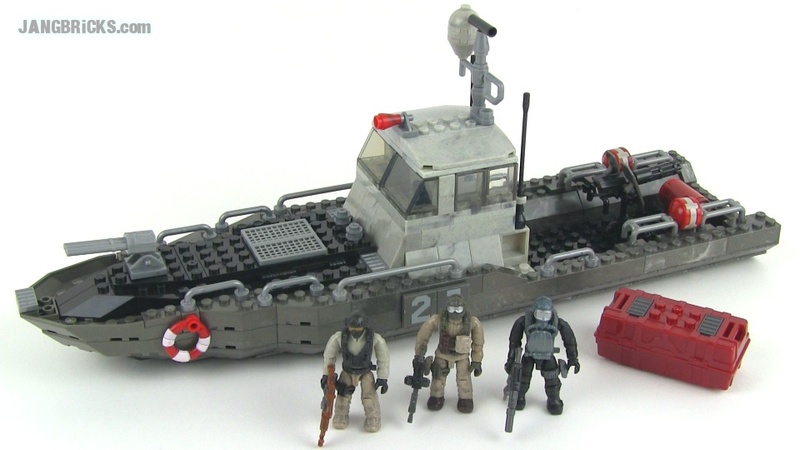 Mega Bloks Call of Duty Coastal Intercept set in-hand Review! Video: Mega Bloks Call of Duty Coastal Intercept set in-hand Review! 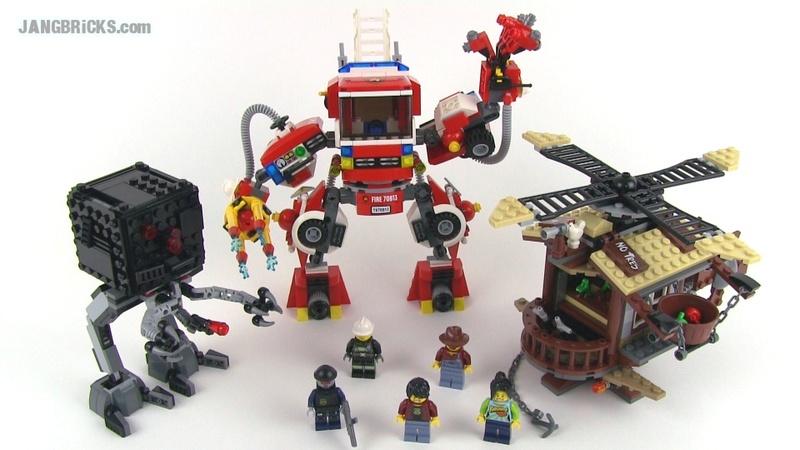 LEGO Movie sets on the way! The LEGO shop reports that LEGO Movie related sets will be released on December 29th, but some shops have already started letting them out ahead of schedule. Rest assured I will be reviewing all of the sets in this line! Roughly one week to go! It may be the weekend, but I'm still hard at work producing content for your entertainment! Today's uploads cover three very different products from three different manufacturers. 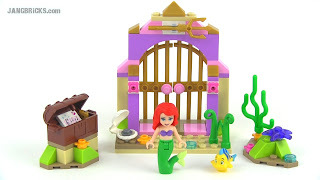 LEGO Disney Princesses 41050 - Ariel's Amazing Treasures! Happy Flashback Friday, Dec. 20, 2013! 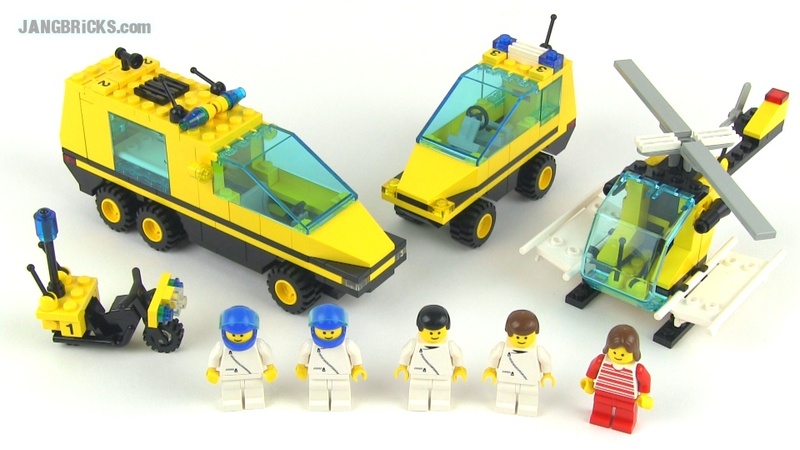 It's that time :) This go around I chose an extraordinarily funky rescue/EMT set from the early 1990s to review. In addition, here are a couple more very different videos to keep some viewers satisfied for a few minutes! And yes, the zoo continues to be worked on, and it will be done when it is done, no sooner, no later! I finally received and reviewed the big headlining sets for the first wave of 2014 Friends and Disney Princesses. As a bonus, I've put up a quick comparo between the interestingly different versions of LEGO Cinderella! 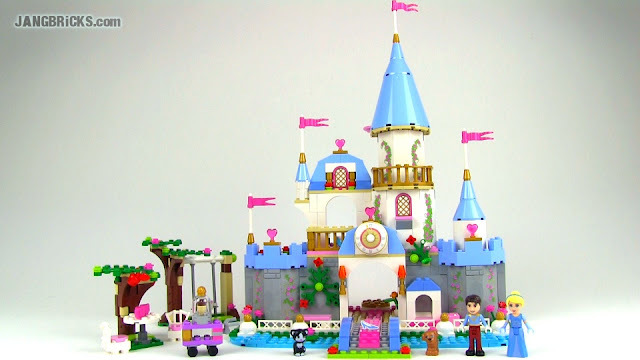 LEGO Friends 2014 Sunshine Ranch set 41039 review! LEGO Disney Princesses 41055 - Cinderella's Romantic Castle! 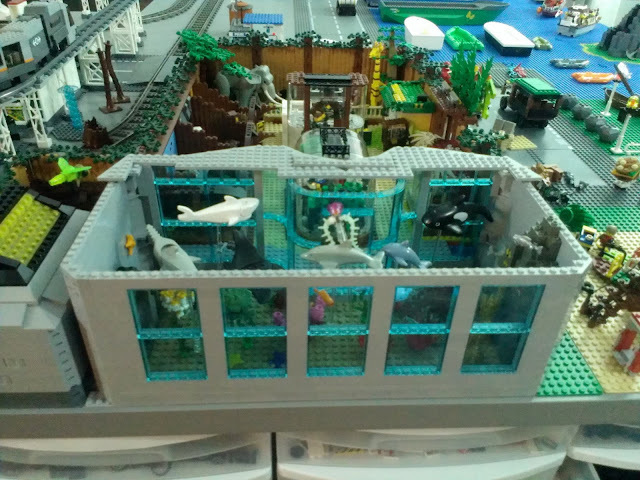 The insect "wing" was completed a day ago and now the aquarium foundation is in! Finally things get interesting. Sometimes I get sets just for me, for my own collection & display, but even then, I like to share them with viewers who will enjoy seeing them. That's exactly what this video is about, more casual than the norm, but still covering most of the important info and showing all of the angles. 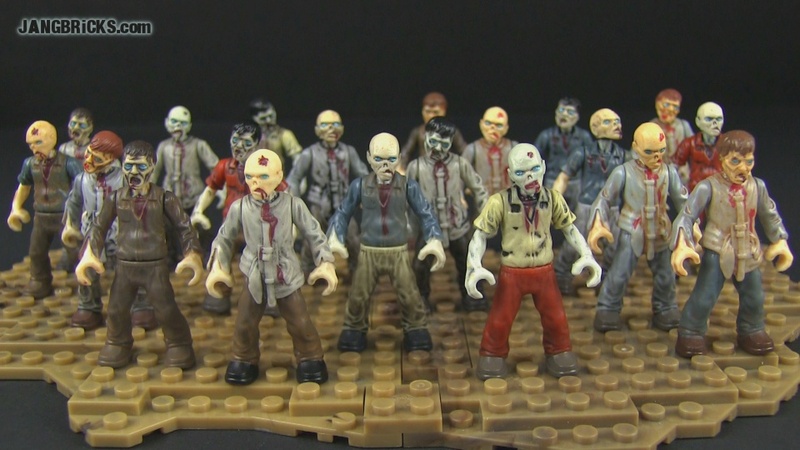 Mega Bloks Call of Duty ZOMBiEs - 20 different versions! Pop & swap for the win! 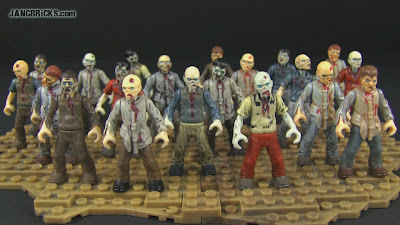 Between the Zombie Horde & Tranzit Farm sets you get 10 different CoD zombie minifigs. Get two of each set, keep half intact and mix & match the rest for double the mayhem! 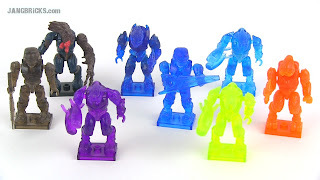 Video: Mega Bloks Call of Duty ZOMBiEs - 20 different versions! LEGO 2014 set reviews continue with full force! At this point I'm almost putting out videos faster than I can keep up with them! This latest batch from just two evenings runs the gamut from princesses to super heroes, with still more to come! 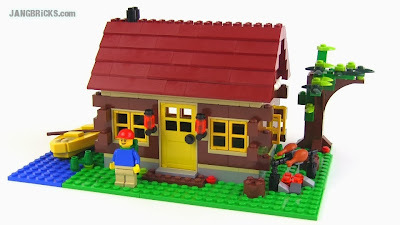 LEGO Creator 2014 Mountain Hut set 31025 review! LEGO Disney Princesses 41052 - Ariel's Magical Kiss! 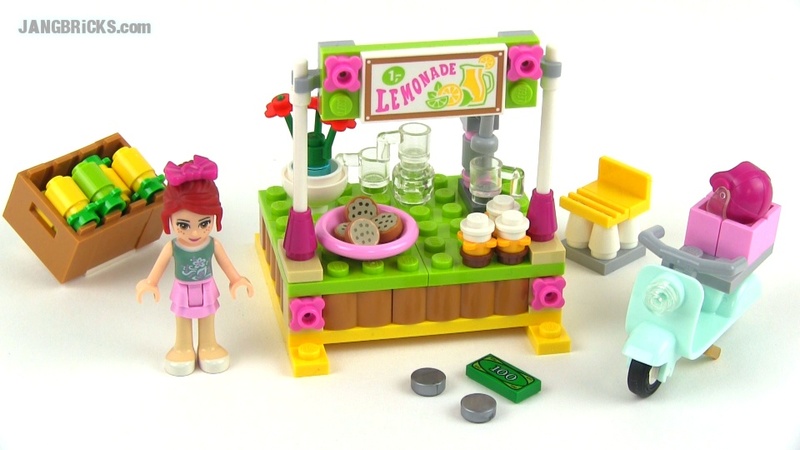 LEGO Friends 2014 Heartlake Juice Bar set 41035 review! LEGO City 2014 Prisoner Transporter set 60043 review! 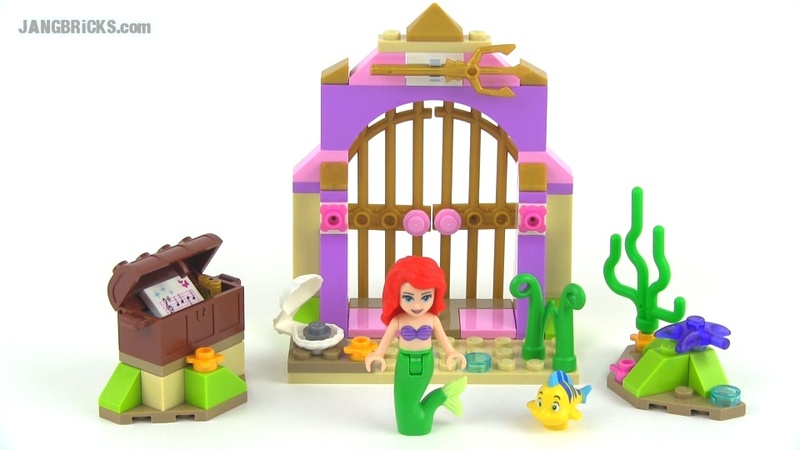 LEGO Friends 2014 Stephanie's Beach House set 41037 review! 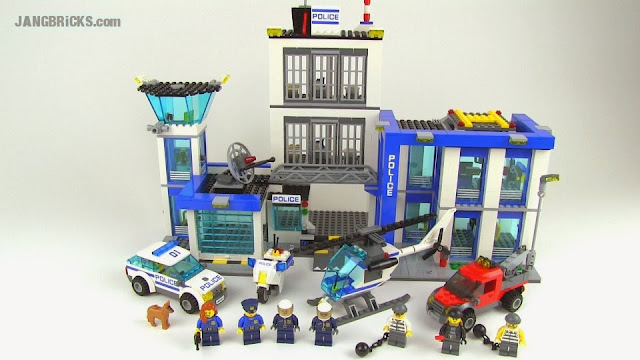 LEGO City 2014 Police Dog Unit set 60048 review! LEGO Disney Princesses 41051 - Merida's Highland Games! LEGO DC Super Heroes 76012 Batman: Riddler Chase set review! LEGO DC Super Heroes 76011 Batman: Man-Bat Attack set review! 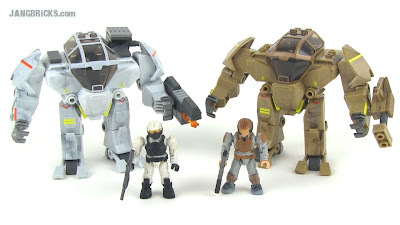 Mega Bloks Halo Elephant set review, with bonus! Another BIG MB Halo set here, this one from 2011, the unofficial original "signature series" set, if you will. In addition to reviewing the set, in response to viewer requests, I've done a separate video showing how it compares side by side with the 2013 Mammoth. 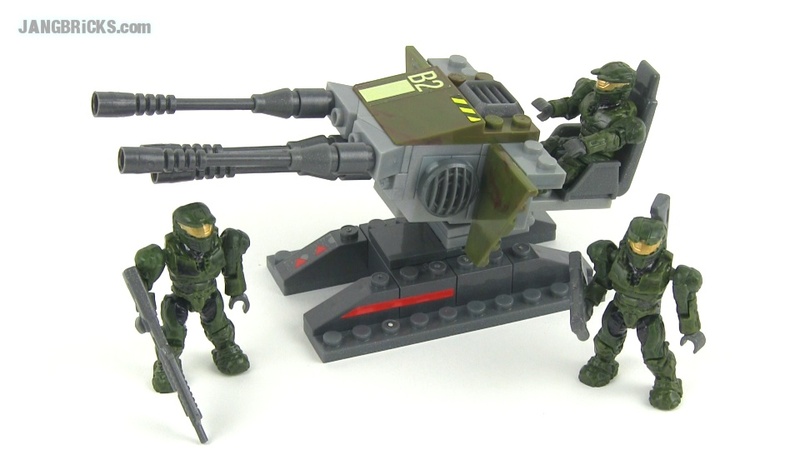 Mega Bloks Halo Elephant set 96942 review! 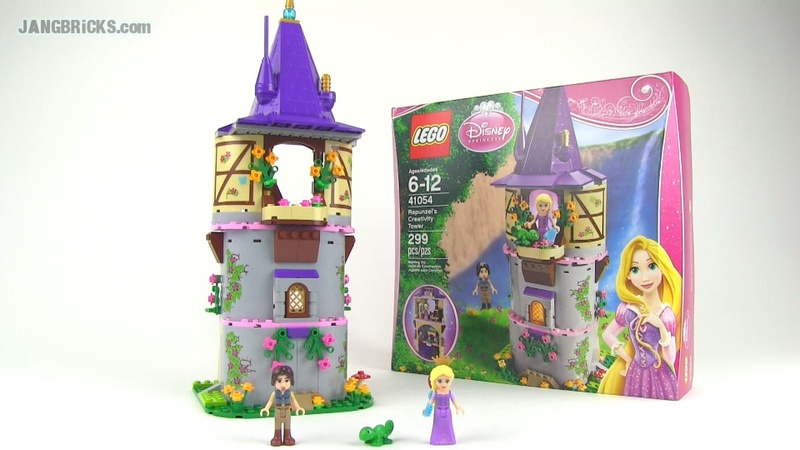 New 2014 LEGO Friends & Disney Princesses set reviews! The LEGO Friends line launched to huge worldwide success in 2013, and already it looks like the 2014 line is going to be even more successful. I've been to my local Toys R Us several times in the past week to try to get new sets when they're released, and I've seen cases of new Friends sets brought in, yet to this very day their entire Friends shelving unit remains almost empty because the sets have been selling so well! Only the polybags have managed to stay in stock for more than a day or so! LEGO Friends 2014 Mia's Lemonade Stand set 41027 review! LEGO Disney Princesses 41054 - Rapunzel's Creativity Tower! LEGO Disney Princesses 41053 - Cinderella's Dream Carriage! LEGO Friends 2014 Sunshine Harvest set 41026 review! 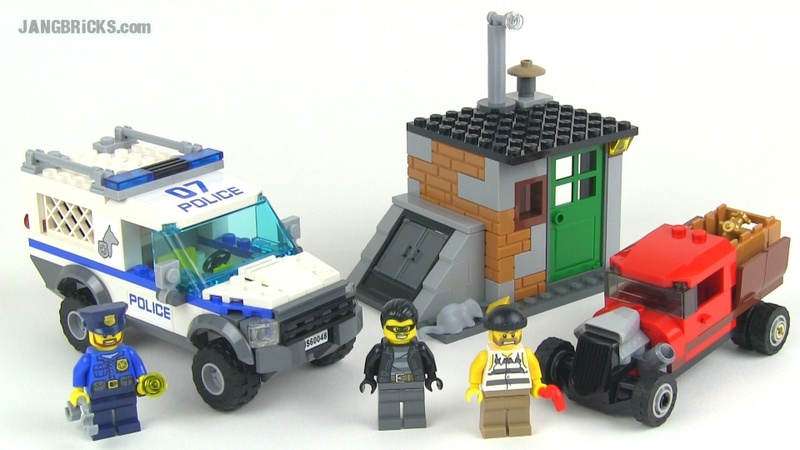 The 2014 sets have the added distinction of introducing a number of exciting brand new parts to the LEGO world, parts that are useful not only within the Friends theme, but with all traditional minifig-scale themes as well! 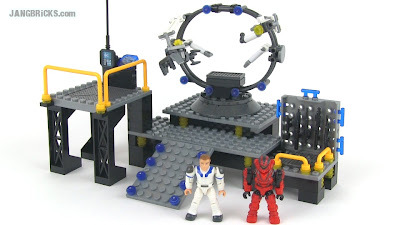 Even guys should check out the parts in these sets! Yep just a grainy nighttime cel phone snap this time, no video, but three more exhibits (one not really visible here) have been "completed" for now! Next I get to move on to the new entymology wing! 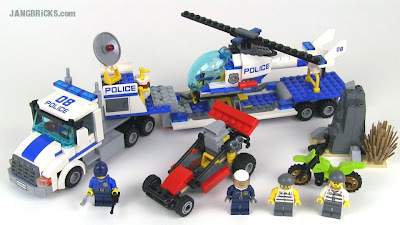 Two more 2014 LEGO City police set reviews! 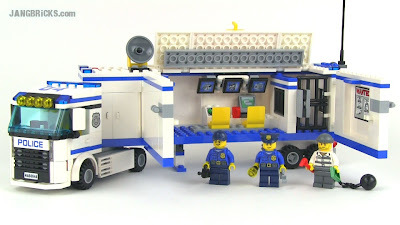 LEGO City 2014 Mobile Police Unit 60044 set review! LEGO City 2014 Police Patrol 60045 set review! LEGO City 60047 Police Station & 60046 Helicopter Surveillance set reviews! 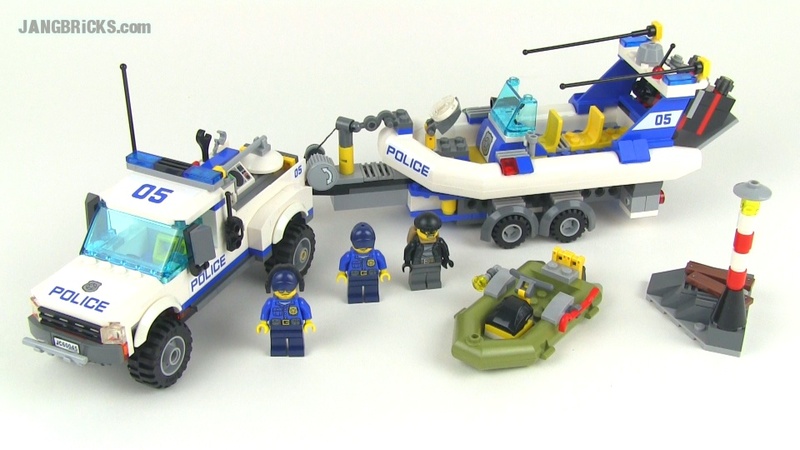 More 2014 City sets, this time from the ever-popular (or over-played, depending upon your choice of point of view) police sub-theme. 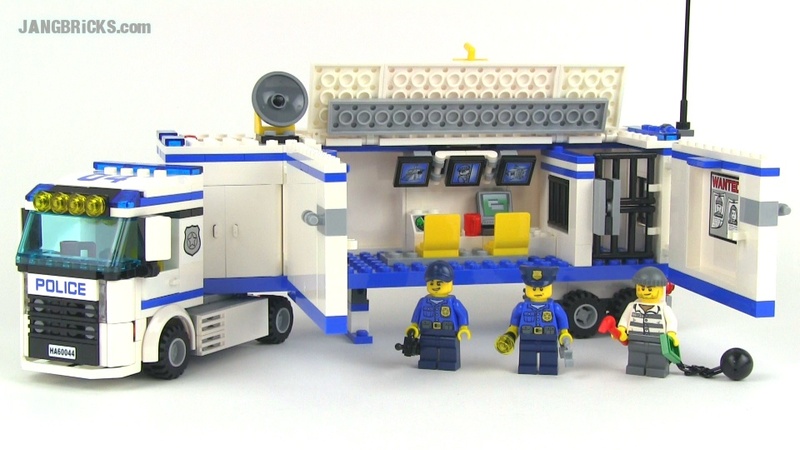 LEGO City 2014 Police Station set 60047 reviewed! 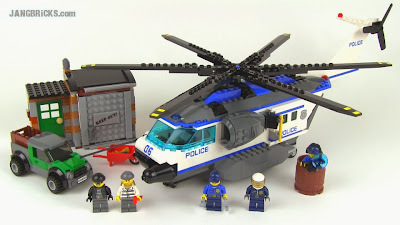 LEGO City 2014 Helicopter Surveillance set 60046 reviewed! LEGO Hobbit 79013 Lake Town Chase set review! I believe this will be my last Tolkien themed set for awhile! 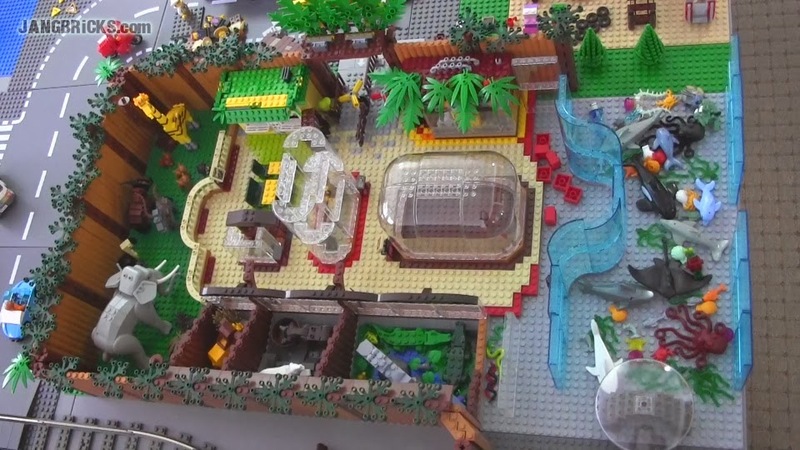 In the last two Bricklink haul videos I stressed that progress with my zoo would accelerate rapidly. Well, it's happening! I'm not yet on the home stretch, but for the first time, I can envisage such a thing in the foreseeable future. LEGO Creator 5766 Log Cabin 3-in-1 set Review! My last post had a 2-in-1 set, so what better time is there for a 3-in-1 review? This is by no means a new set, but it's still in stores and interesting to me, so I decided to check it out. 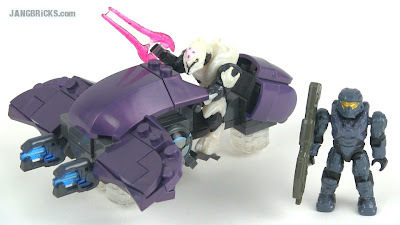 I keep giving the Tenkai Knights toys more opportunities to prove themselves to me. I find them interesting, and I feel there's a lot of potential in the concept. I've enjoyed the TV series far more than I expected and find the storytelling to be 10x better than what was first unveiled on the TK website. Unfortunately, the actual toys continue to disappoint me in various very objective ways. Finally, the last of the parts I need to finish my zoo have arrived. This is huge for me, as that zoo build has been going on for too long and I'm ready to move on to many other things. Expect to see big zoo updates over the next week! 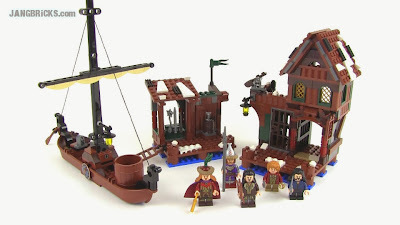 Two LEGO Hobbit: Desolation of Smaug set reviews! 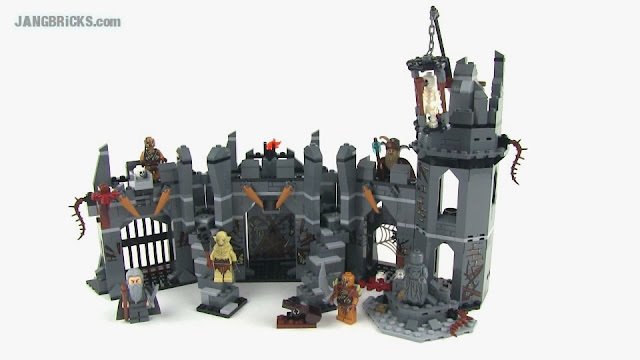 LEGO Hobbit 79014 Battle at Dol Guldur set review! LEGO Hobbit 79011 Dol Guldur Ambush set review! 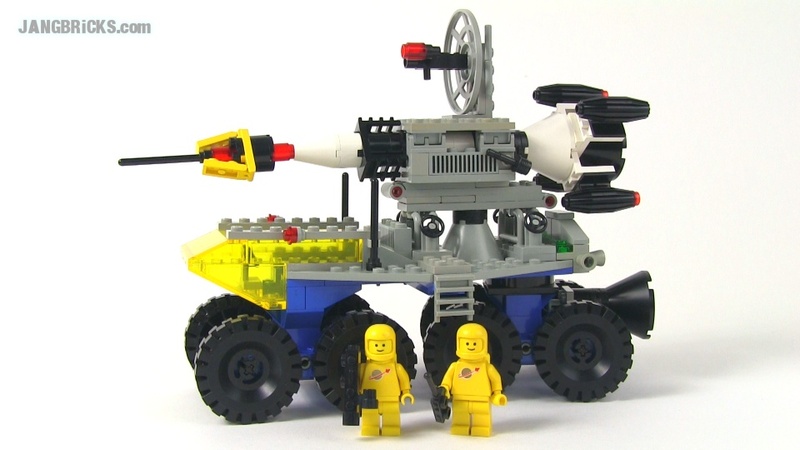 Classic 1991 LEGO System Mud Runner set 6510 reviewed! Happy Flashback Friday everyone! This little off-road racer was born 12 years ago; long before many of my viewers! Ha! Not the most impressive little number, but I think it was kind of cool in its day, and certainly quite cheap. 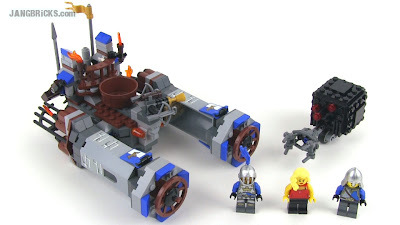 Video: Classic 1991 LEGO System Mud Runner set 6510 reviewed!